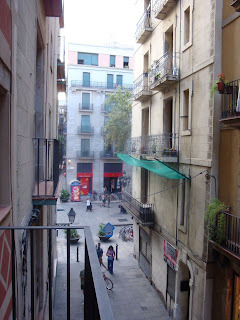 It's not hard to feel inspired in Barcelona, there is so much great architecture and fashion everywhere. One of the many Gaudi buildings in the city. 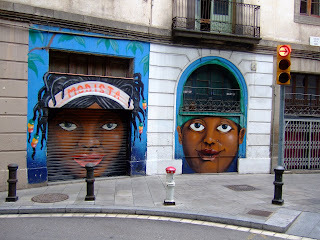 Lots of really cool graffiti. 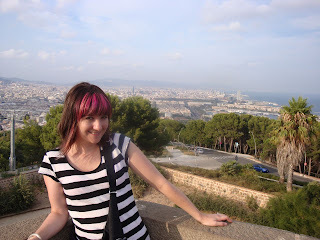 We rode the cable car to the top of Montjuic for great views of the city. 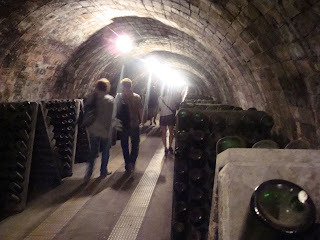 We took a train to Sant Sadurni d'Anoia to visit Codorniu, one of the many cava wineries in the area. 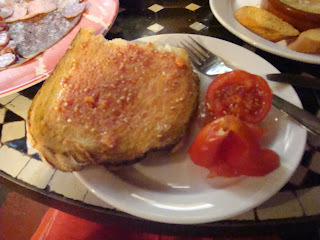 This is the pa amb tomaquet I mentioned in an earlier post, it's bread smeared with a cut clove of garlic and tomato, then topped off with olive oil and salt - simple and delicious. Tapas to tide you over until dinner. 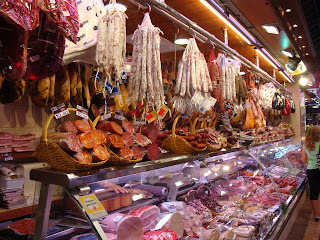 A selection of meats at La Boqueria, a huge food market. I always used to think I didn't like olives, until I had good olives. 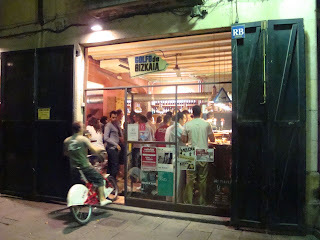 Drunk guy trying to ride his bike into a tapas bar. How can you not like a restaurant that has an antique sewing machine right at the front door? That's it for the travel pics. Coming soon: a post on recent fabric acquisitions and a pattern review. OMG Barcelona is my absolute favorite place in the WHOLE WORLD. I love it there. I am so glad you liked it. Drool worthy pics. I so want to go now...more than ever. It is a beautiful city in every way... 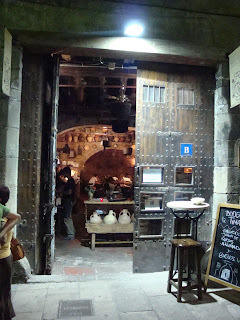 I enjoyed my time there when I visited Barcelona and I plan on visiting again! Barcelona is on my wish list. Thanks for sharing your trip with those lovely pictures. 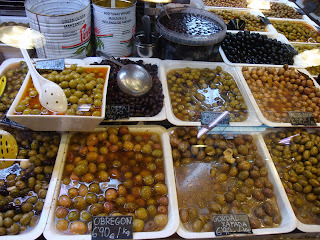 I enjoyed them (and want to go to a shop selling good olives right away). Spain is the next country I want to visit unless I get a chance to see Italy again. The pictures were wonderful, thanks for sharing them. 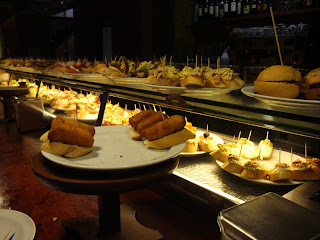 Those Tapas looked like dinner, not just to tide you over. Yum. That looks like a great trip! Spain is definitely on my list of places to visit. 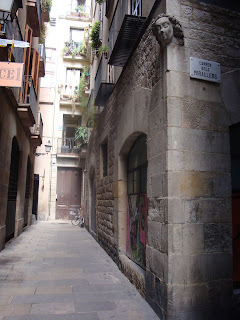 My husband and I saw Vicky, Christina, Barcelona and wanted to visit after seeing the movie. Your pictures and descriptions have convinced me that I need to go there.